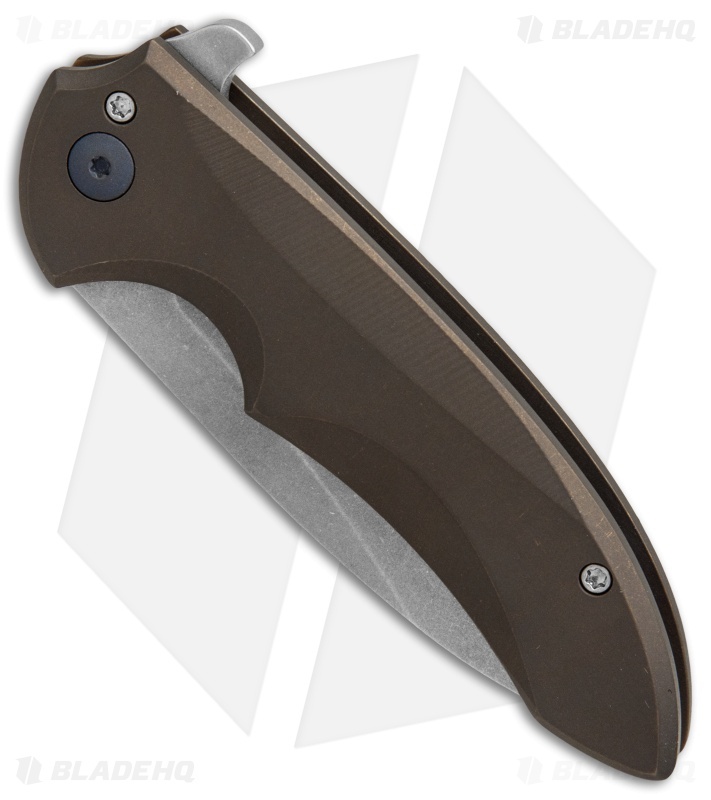 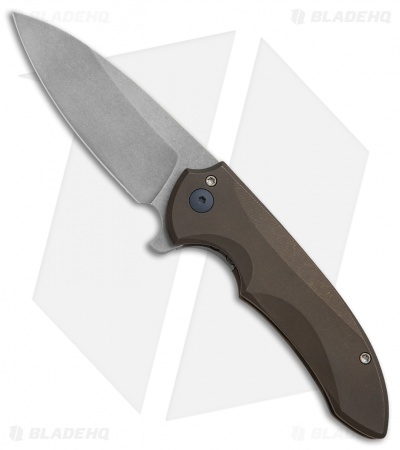 The Septer offers Ferrum Forge's smoothest flipper to date with a titanium frame lock handle in four handle variations. 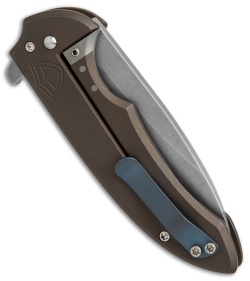 It has a sleek, aggressive look in the open and closed positions, with a more compact, gentlemanly frame. The utilitarian drop point blade maintains a continuous arc throughout the knife creating a clean, balanced look. This Septer model has a bronze Contours handle and a stonewashed blade.